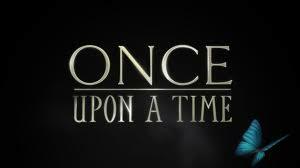 Last night, my wife and I began watching the new drama series entitled Once Upon A Time. The plot is based around the reality that all fairytale characters of our childhood favourites (Snow White, Pinocchio, etc) have had a curse put on them and are now trapped inside our world, in a little town called Storybrooke, Maine. There is only one person, a woman named Emma Swan, who stands as the hope to breaking the curse. And it’s her 10-year old son, whom she gave away for adoption at his birth, that has come to help her understand who she is and her role in the story. But she needs to believe the story first before anything can happen. Last evening, we watched the first 2 episodes (only 3 have been run so far) and were quite intrigued for 2 reasons: a) we like enchanting stories and b) it was something different than what we usually watch in the crime-scene genre (CSI, Bones). I must say that, this past summer, I was quite dissatisfied with the launch of the new series Alphas. But I have much higher hopes for this series. My great wish with this television series is that, when it’s time for it to come to a conclusion (whether after 1, 2 or 10 seasons), that the producers and writers bring it to its proper close. I don’t want it dragging on and on like Heroes or The 4400 without any real sense of substance in regards to a plot heading somewhere. If something needs to be short, let it be, so long as it leaves a lasting imprint of being good and creative. So on with Once Upon A Time. This entry was tagged life, Once Upon A Time, story, television. Bookmark the permalink. I agree the show has promise, too. I think the problem with these types of series is that they are too open-ended. The writers have a vague idea of where the story is going, but because of the nature of network television, they have no idea how fast to go and how far to progress the story each season. I am a strong believer that series in this genre should always be limited, or told in definitive chapters that have a beginning, middle and end. Writers should NOT assume their series will last beyond the first season, but have more story available should it be renewed. Too many series barely make it through their first season as it is, and end up leaving the viewers hanging. That’s why I love series like Babylon 5. It was designed as a limited (5 yr) series, and tells a well-defined story. The main story remained strong because the creator/writer knew from the beginning what was going to happen each year. He put provisions in to shorten the story if necessary, but he had enough material to fill more than 3/4 of the episodes with the main story. He farmed out the rest of the episodes to well-known or promising SF writers, but he approved or directed the story even with these. There’s much to be said for having ONE guy in charge when there is a clear vision of what should be. Too many series are run by committee, and it really shows. I have seen episode three, but my wife gave me the run down for episode 1. Seems promising.